Ever since our paths crossed with Trinh Nguyen and her florist business Blossom Box Co we have been so excited for the launch of her first store. Trinh started the business after receiving overwhelming feedback and support and when she noticed there was a gap in the market. Blossom Box Co is unique because all floral arrangements are made in house and presented in a beautiful, sleek and chic box which can be kept after as a keepsake. One of the most popular items at Blossom Box Co, and frankly what we still can’t get our heads around is the beautiful ‘Eternal Range’. The Eternal range are roses imported from Ecuador and fed through a special solution which makes them last for a year without any maintenance or upkeep. With basically every colour of the rainbow available, we’ve had our eyes on the jet black or gold foil roses from the moment we first learnt about the business. 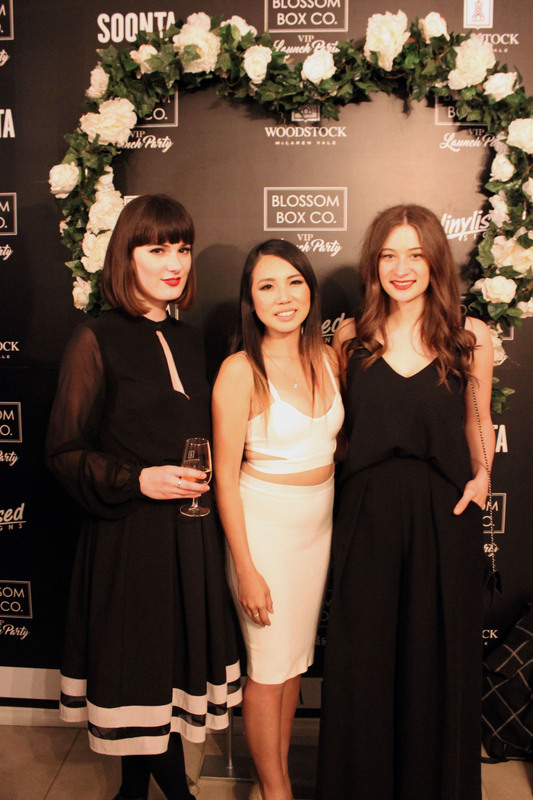 VIP’s, loyal customers, local businesses and friends and family gathered together in Blossom Box Co’s first store in Prospect the day before it opened to toast the business and celebrate the achievements of Trinh and her team. We enjoyed wine from Woodstock Wine Estate, food from Soonta and various sweet treats including Macaroons, cookies and Blossom Box Co personalised chocolate bars from Lindt. There was also a raffle held on the night and after Kristen complained she “never wins anything,” her number was called out and she took home a large gift hamper filled with goodies. I was so jealous proud of Kristen, she had the best ‘winners run to the front with her hands in the air cheering’ reaction I have ever seen. Like a kid on Christmas. Congratulations to Trinh, Thuy and Blossom Box on the launch of their store and best wishes as your business continues to expand. You can find Blossom Box Co here.